Uploading now… my latest novel! My latest novel is uploading on Amazon now!!! It is available as an e-reader and as most of you know, is about how Rosa’s cousin, Tyche tries to find the stalker who wrought such misery on Rosa’s life. Many of you have been kind enough to read my previous novel, Farholm, and I would be delighted and most grateful if you would read this… all constructive criticism most welcome! 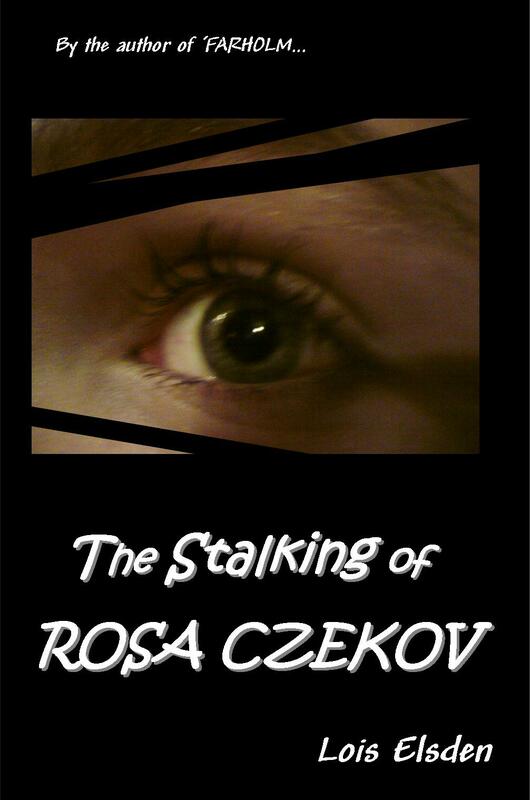 The Stalking of Rosa Czekov available now!!! make sure you look at the dedication!!! I am definitely interested in reading both of your novels. Thanks… if you do please let me know what you think… I would really appreciate your comments and criticism! It’s such a great story and I just wish everyone would go away and leave me alone so I could indulge in a long read – nail biting or what! !